(Wondering what I used in this video? Everything is linked to multiple sources in the thumbnails at the end of this post, or in the text below. Compensated affiliate links used when possible). 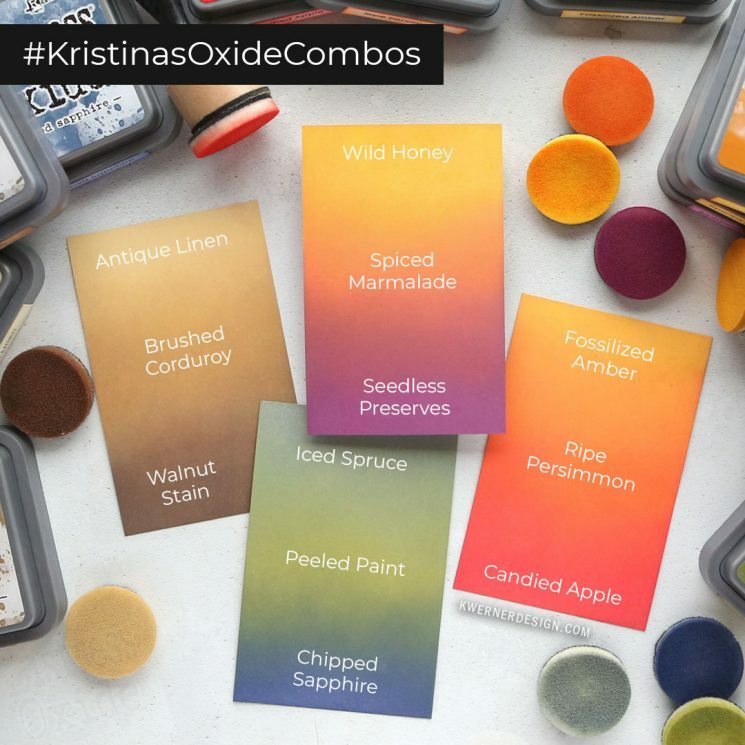 Some things to note before I get into the combos… I used a Tonic Easy Clean Mat to protect my work surface while blending. 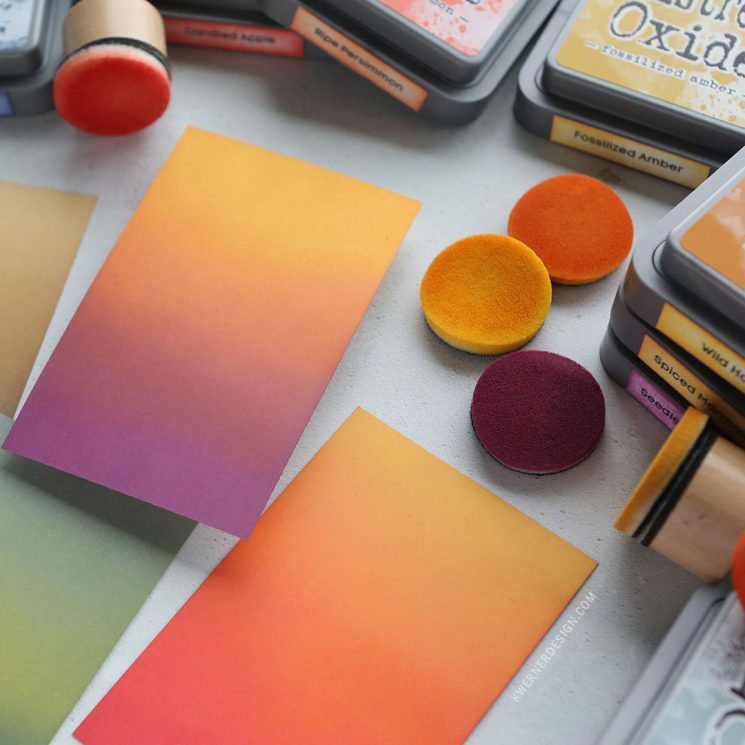 The slick surface of this mat also allows for easy blending from the edge of the cardstock. I used Mini Round Blending Tools from Ranger (with a blending foam for each color). The cardstock I’m using for all these blending videos is Neenah Classic Crest Solar White. Thank you so much for following along with this series. I’ve had such a fun time coming up with these color combos! And I think my right arm is stronger because of all the blending! LOL! 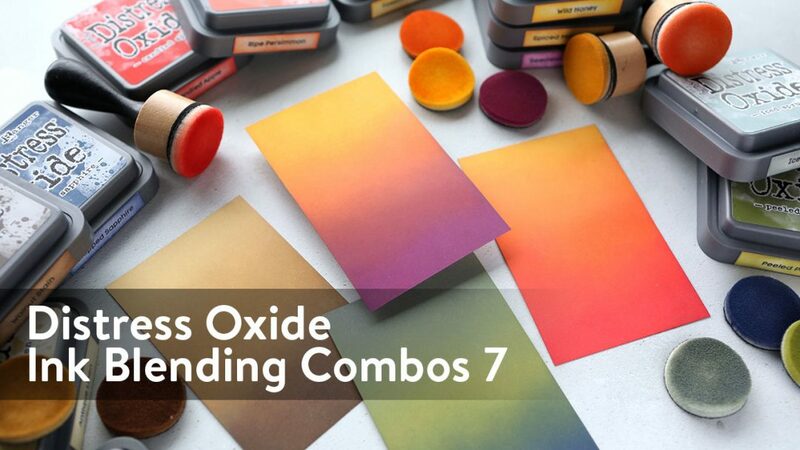 Stay tuned for more fun ways to use Distress Oxides inks in the future.